For a fast and thrilling event you won’t find anything better than Karting. You will be racing on an indoor circuit that that incorporates plenty of hairpins, chicanes and sweeping bends. The track will challenge your driving skills and with computerised timing and electronic boards there’ll be no doubt by the end of the session as to who the best driver was. You will be driving karts with four-stroke Honda 200cc engines that are capable of up to 40mph. Overalls, helmets and gloves will be provided and prizes will be presented to the winning driver. 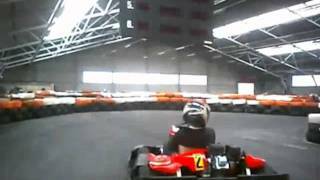 View our Indoor Karting video and get an idea of what to expect on this activity.